John Aspinall is a well-known figure in the gambling market. At a time in his life he was a successful bookmaker while also being surrounded by controversy with the law. Even though he is now associated with many questionable dealings, he was a great entrepreneur in the bookmaking business and a successful zoo owner later on in his life. Below we have covered the details of his personal life and his business dealings. John Victor Aspinall was born in Dehli, India in 1926 to Mary Grace Horn of West Sussex. His alleged father was Colonel Robert Stavali Aspinal who was a surgeon for the British Army. It wasn't until later in life that John discovered that his real father was Captain George Bruce. It is said that his mother had fooled around with George during a Regimental ball prior to her marriage to Robert. While Aspinall was still young, his parents divorced leaving him under the care of his mother. In 1938, she got remarried to Sir John Francis Osborne. Aspinall's new stepfather wanted little to do with him and was quick to send him away to a private boarding school in Rugby, Warwickshire. Aspinall, also called "Aspers," by his friends was tossed out of boarding school because of inattention. He later went to Jesus College where he was known to fake illnesses to get out of exams. He even skipped his final exams to attend the Ascot Gold Cup. It was there that he won a substantial amount of money betting on horses. That day was the end of Aspinall's academic career; he never finished school or received a degree. Aspinall signed up to be in the Royal Marines after school, but his behavior didn't meet their standards so he never got commissioned. It was after his trial with the Royal Marines that Aspinall decided to become a bookmaker. Unfortunately though, bookmaking for Aspinall wasn't everything he had hoped it would be, so he instead turned to gambling as a form of entertainment and revenue. During this time in the UK, gambling was only legal at racecourses and dog tracks. British law defined "illegal gambling houses," to be any place where gambling occurred more than three times. Aspinall, the clever person that he was, would get around this law by renting houses for his gambling parties to use them precisely three times before moving on to a new location. Alongside him was his friend and accountant, John Burke. He would send out embossed invitations to the local Aristocracy to inform them of where his next parties would take place. The main game played at Aspinall's gambling parties was Chemin de Fer. Aspinall would receive a 5% cut from all the bets during the party which would sometimes rake him in up to ₤250,000 in a single night. In 1958, one of his parties was raided which landed him in court not much long after that. He won the court case, which is why in part that the UK established the Betting and Gambling Act of 1960. This act legitimized "social gaming," as long as it was conducted in private clubs for members only. This inspired Aspinall to open up the Clermont Club in 1962. This club was named after the famous gambler, Lord Clermont, who was the previous owner of the building in Mayfair's Berkeley Square. The Clermont Club was London's first Casino. John was able to legally open it after he received a gaming license under the new laws and regulations. The Clermont club was known for being very tasteful and extravagant. The Club's original members included a variety of prestigious people including two cabinet ministers, five dukes, five marquesses, and nearly twenty earls. John sold the Clermont Club in 1972, so he could focus on the development of his zoos. Aspinall is known for the infamous gambling con named, "The Big Edge." Both John Burke, who was the financial director at the Clermont Club during this time and John Mckew, an associate of the gangster Billy Hill, claim that Aspinall and Hill worked together to cheat millions of pounds of money from the wealthy members of the club. They did this by hiring criminals to cheat the players, marking the cards, and skimming their profits. It's believed that "The Big Edge" scandal went on for at least two years before Aspinall walked away. 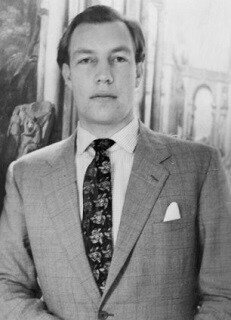 Aspinall is also suspected to have had contact with Lord Lucan, a member of the Clermont Club, after his mysterious disappearance and supposed suicide. Lord Lucan disappeared after being suspected of murder. Aspinall's ex-secretary came forth and shared that Aspinall and James Goldsmith would have private meetings to discuss Lucan after his disappearance. On two occasions, Aspinall had instructed her to book trips to Africa for Lucan's children. She believed this was so Lucan could watch his children from afar. Calling Aspinall an animal lover would definitely be an understatement. His passion for animals inspired him to own his own zoo. He ran his zoo under the belief that zoos should be used to pamper animals rather than to simply exhibit them. Aspinall used his proceeds from the Clermont Club to purchase Howletts Country house and estate, which was located outside of Canterbury, Kent. He lived in the house and set up a private zoo on the grounds. In 1975, Aspinall finally opened Howletts to the public. Only a year later, Aspinall opened his second zoo: Port Lympne Reserve. Both of Aspinall's zoos are notorious for breeding rare and endangered animals. To support the financial needs of his zoos, Aspinall opened several other gambling clubs in London later in life. They were located mainly in Mayfair and Knightsbridge. Aspinall also wrote a book called, "The Best of Friends," which was published in 1976 to bring in a little extra revenue. This book brought awareness to his readers about the unique personalities of animals and the value of having relationships with them. Aspinall started, "The John Aspinall Foundation," which works to promote wildlife conservation. This foundation supports both of Aspinall's zoos: Howletts Wild Animal Park and Port Lympne Reserve. It also funds many overseas conservation projects as well. In 1956, Aspinall married his first wife Jane Gordon Hastings. They had one son together, Damian Aspinall, and were married for ten years. In the same year as their divorce, Aspinall got remarried to Belinda Mary Musker. Not much longer after that in 1972, they got a divorce. Aspinall later married Lady Sarah-Marguerite Curzon, a widow who was previously married to the famous racecar driver, Piers Raymond Courage. They had a son named Bassa, and stayed together until his death. Three years before Aspinall died in 1997, he ran for parliament under the Referendum party with Goldsmith as his candidate. His campaign was unsuccessful. 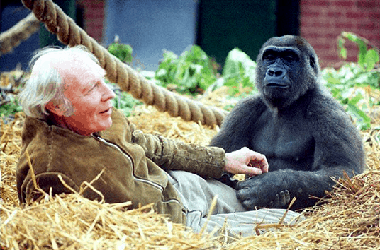 Aspinall died of cancer in 2000 at the age of 74. He left behind a wife, two sons(Damian and Bassa), a daughter (Amanda), and two step sons(Jason and Amos).